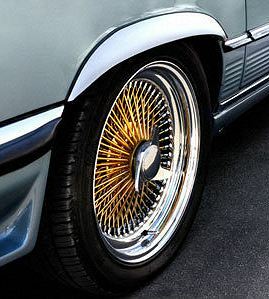 Welcome to Midland Classic Parts website! We offer quality classic car panels and spares for all your classic motoring needs. 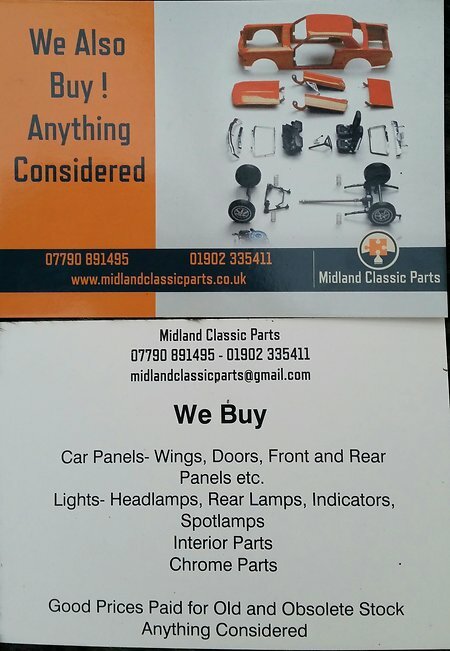 We are a small company based in the midlands offering quality classic car panels and spares. We specialise in purchasing obsolete stock so most items we offer for sale are genuine OEM new old stock items. We also offer a limited supply of car lights,chrome and trim. Due to a high turnover, all current stock MAY not be listed so contact us with your part requirements. We offer a full postal service for most parts and panels, for larger items that cannot be sent by parcel force we can deliver especially around the midlands area for a reasonable charge. We are happy to take your spares to any shows we are trading at, contact us for more details. PLEASE ENSURE IF YOU USE THE "CONTACT US FORM", THAT YOU ENTER YOUR EMAIL ADDRESS CORRECTLY. As if entered incorrectly unfortunately this means we will be unable to reply to your enquiry. Able to accept payments via paypal.me the link is below.